It’s not uncommon for humans to experience a jump in blood pressure upon entering a medical facility and facing a doctor. 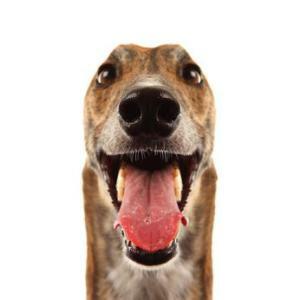 This so-called “white-coat effect” has now been observed in greyhounds too. Perhaps doctors and vets should consider medical coats of another color. This entry was posted on Thursday, September 15th, 2011 at 1:45 PM. It is filed under Blog. You can follow any responses to this entry through the RSS 2.0 feed.